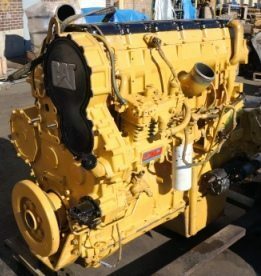 In the United States approximately 90% of all goods are shipped using diesel engines. This includes over the highway freight, marine and train transportation. Diesel tractor trailers alone consume approximately 20 billion gallons per year, and a fully loaded tractor trailer traditionally obtained approximately 5-7 miles per gallon. Most people would likely agree that finding a way to reduce consumption and still meet the current and growing demand of consumers and businesses is an effort worth pursuing. In 2011 the United States implemented a program to reduce the amount of greenhouse gas emissions and set new standards for fuel efficiency for large commercial trucks. Manufacturers have been working hard to meet the objectives of the EPA and the new standards. Manufacturers have already been able to implement new technologies which have made diesel engines cleaner and more fuel efficient. This is a very big accomplishment as fuel efficiency and cleaner engines are opposing forces. For large commercial vehicles produced after 2010 and later, there has been a quantifiable increase of nearly 5% in diesel fuel efficiency according to the EPA and National Highway Traffic Safety Administration. What's more is that by 2018 it is estimated that the United States will likely increase its use of heavy diesel trucking and transport, and further advances in technology will result in nearly 20% fuel efficiency improvement for diesel engines. If this goal is accomplished it would translate to approximately 480-500 million barrels of reduced oil consumption and 230 million metric tons of reduced emissions. There are varied opinions on whether or not the costs related to research and technology are worth the benefits. That can be debated strongly and ultimately seems to result in political differences or preference. Time, expense, impact and consumers will ultimately judge whether or not the costs of research and technology translate into greater long term stability of fuel, manufacturing and consumer and business prices.